At the beginning of the year, we analysed the trend for online brands making a move on to the high-street, with the likes of Amazon, eBay and Dell moving into the physical retail realm to help drive sales. 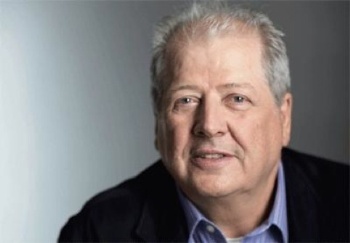 At the time, Fitch creative director Stuart Wood saw the move as part of the on-going trend for brands to aim for a ‘seamless journey’ for shoppers, where online, mobile and high-street shopping are easily integrated. Undoubtedly, 2012 has seen brands looking to create retail experiences that sit seamlessly alongside their other channels, and there’s been a move towards increasingly ‘experiential’ spaces in which customers can browse, try and learn about products in-store. 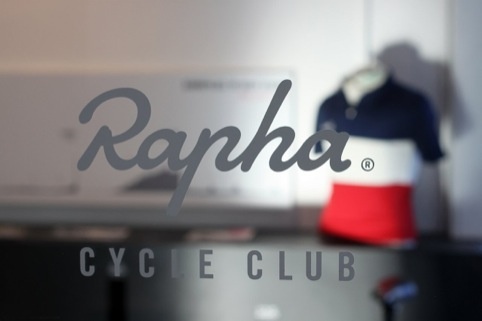 The summer saw Brinkworth design the first permanent physical space for cycling brand Rapha, positioning the store as a Rapha Cycling Club in which visitors can eat, drink and meet, as well as shop. 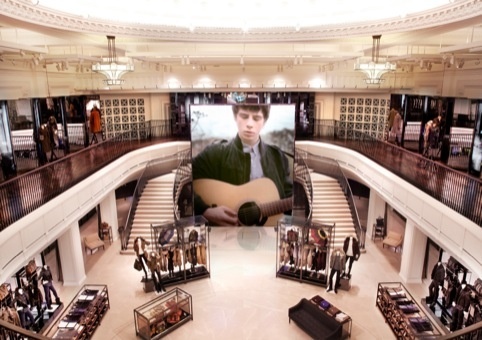 Menwhile high-end brands such as Burberry embraced the move towards interactive, technology-driven store designs with its new flagship design, in a project the brand says was led by Burberry chief creative officer Christopher Bailey. Throughout 2012 many larger department stores focused on new interior overhauls and redesigns. 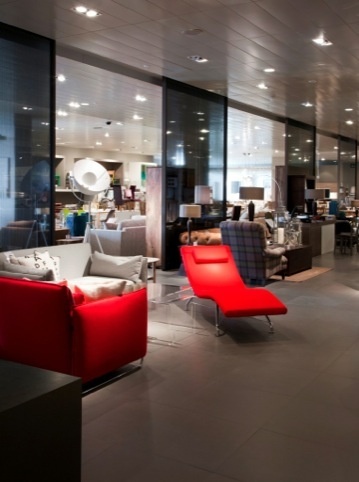 John Lewis launched a new flexible-format smaller department store concept, created by Dalziel and Pow. 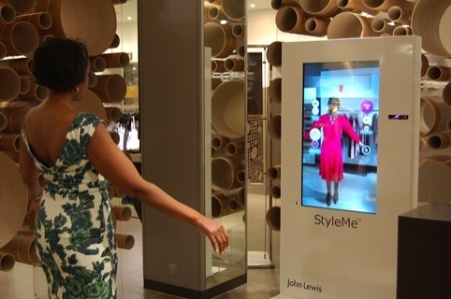 The Team and Cisco developed ‘virtual fashion mirrors’ for the retailer’s Oxford Street flagship store. Alongside the new concept, John Lewis also overhauled two major departments this year, with GP Studio creating a new look for the beauty hall at its Oxford Street flagship store. The design is based around a ‘town square’ concept, with cosmetic brand counters acting as ‘houses’ around a central fragrance, hair care and skincare area. Last month John Lewis debuted its Homeware concept, created by Imagination. Initially appearing in the Milton Keynes branch, the ‘Home Vision’ concept aims to create ‘a flexible yet stylish’ environment. Selfridge’s, too, launched a number of new designs this year. 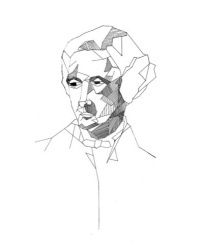 In September, the new look for the men’s department opened, designed by Alex Cochrane Architects for the Oxford Street flagship. Features include a sculptural installation described by Selfridge’s as ‘part tree, part ship mast’ and cut-stone hexagonal patterned flooring. A more playful approach was shown in GP Studio’s ‘Hippie Chic meets Glam Tropez’ Beachwear department concept, which is all about glamour, sun and texture. 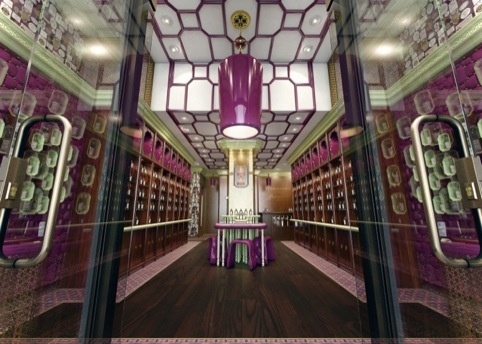 Showcasing the ultimate in opulent retail design was Christopher Jenner’s concept for perfume brand Penhaligon’s. Using what Jenner terms ‘sensation design’, the store is informed by Edwardian eccentricity, throwing in some Tudor, Gothic and Regency revival influences along the way. 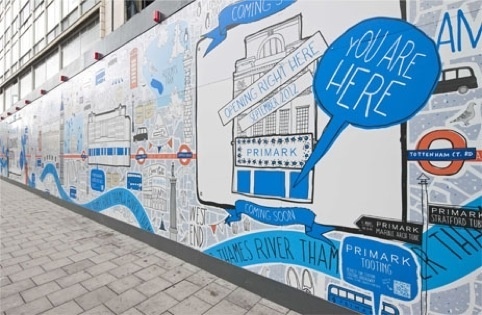 Perhaps at the opposite end of the retail price scale was Primark’s launch of its new Oxford Street behemoth in the autumn, for which Dalziel and Pow to create the retail concept, which includes large screens displaying products and promotions. New Look also unveiled a technology-led new look, which the store says was designed in-house. With consumers continuing to look to lower-priced retailers, charity shops are coming to recognise the importance of good retail design. Children’s charity Barnardo’s unveiled a new Fitch-designed retail concept in August, which aimed to reposition the store as a high-fashion charity shop and a rival to tradition high-street clothing brands. The concept was applied by Barber Design, and debuted in the Denton Retail Park, Manchester, branch. Start JudgeGill overhauled Oxfam’s interior designs, with applications such as crates used to deliver supplies used in the store and water tanks and taps used to display clothing. 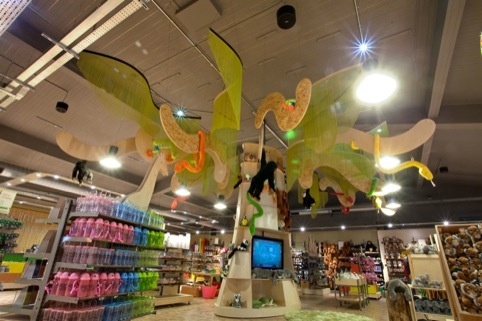 While many designers spoke of the idea of creating ‘experiential’ stores, harnessing technology and eye-catching interactive pieces to entice shoppers, retail spaces in experience-driven attractions including Tate Modern and Chester Zoo unveiled new designs that look to make the visitor experience last right until check-out. Dutch consultancy Uxus designed the retail spaces at the Tate Modern’s Damien Hirst retrospective, which it says are a ‘prototype’ that will be used throughout the rest of the space, while M-Worldwide redesigned the Chester Zoo retail space to include a huge ‘tree of life’ space with audio-capability in which the zoo can stage talks and events. Features like this create a setting bursting with personality and fun for the shopper – key qualities to harness for any retailer, as pointed out by Together brand planner Emily Penny earlier on this year.